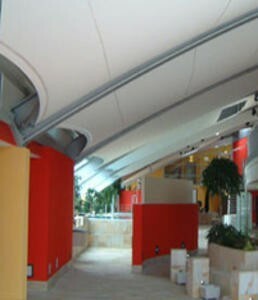 In order to reduce the noise level a PVC-PES membrane with special acoustic was placed on top of the membrane, like insulating a ceiling of a house. This flies was installed to absorb the noise. This creates a more relaxing and comfortable atmosphere for the visitors.